Equipped with 4 stage filtration system filter and UV disinfection technology, this water pitcher ensures you healthy water and protects your family from drinking polluted water all the time! With its revolutionary sterilization and filtration technology, this water purification pitcher overcomes the problem of other water filter pitchers, which have secondary water pollution caused by the filter core itself and the bacteria growing inside the reservoir after the dechlorination. The Aozora UV-805 Water Filter Pitcher ensures the filtered water remains sterile and is always safe to drink. 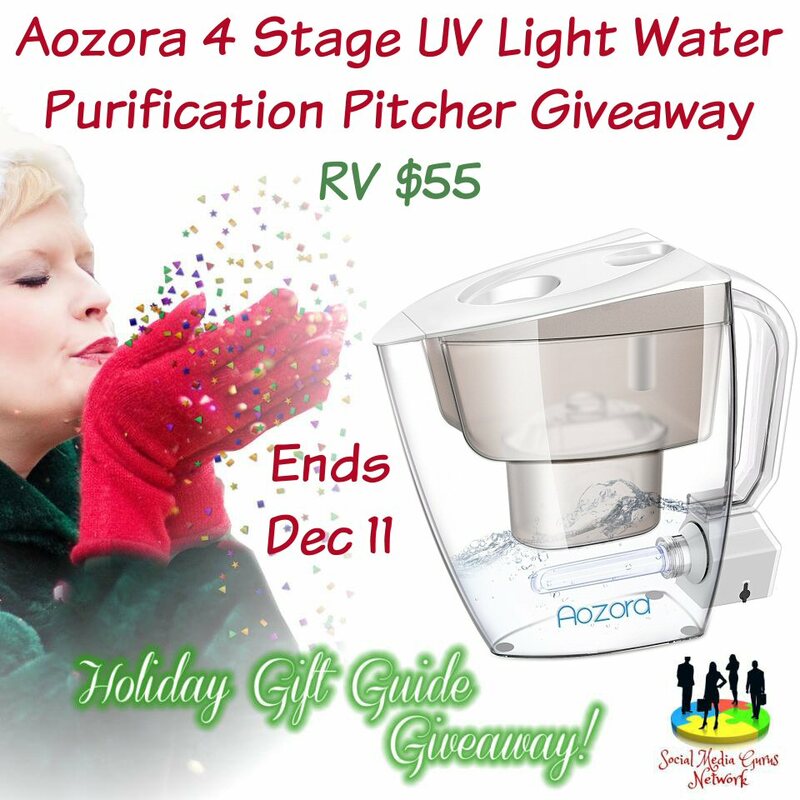 This Aozora 4 Stage UV Light Water Purification Pitcher Giveaway is in no way endorsed, affiliated, or associated with Facebook, Twitter or any other Social Media Networking Site. You are not eligible if you have won a prize from the sponsor in the last 90 days. This Giveaway is valid in the United States Only and Entrants must be 18+ years of age to enter. This giveaway event will end at 11:59 PM (EST) 12/11/17. The winners will have 48 hours to email their information back to paula_stewart (at) ymail (dot) com or a new winner will be drawn, you may want to put this email address as safe as it could go to spam. The sponsors are each responsible for shipping of the above prizes. No blog associated with this contests are responsible for prize fulfillment. If you would like to be a sponsor of a giveaway like this please email Paula Stewart at paula_stewart (at) ymail (dot) com. If you take an entry you must stay following for the entire contest or you will be disqualified. I’m a little skeptical that the little lightbulb in this thing actually does anything for purifying the water… but hey, at the very least it looks really cool in your refrigerator! They should make them in different colors; I’d totally get a purple one.